Automatic identification of default location of Thunderbird Mailbox Location. Is the software maintain meta properties after migration procedure? Can I perform bulk migration of thunderbird files to windows file format? Are attachments also become exported to Windows Live Mail? Does the software need any other application for the migration? What is the estimated time required to Import Mozilla Thunderbird to windows Live Mail? Migrating an existing application from one platform to another is a quite complicated process. Therefore, to solve these problem users want Thunderbird to Live Mail Migrator software. This software is generally designed to export Thunderbird mails to Windows Live Mail. 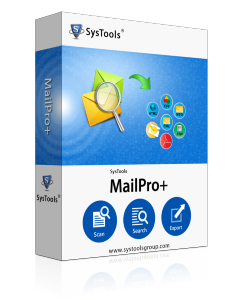 In addition, the migrator tool comes up with multiple advanced features and has the capability to migrate email from Thunderbird to Windows Live Mail in bulk. Moreover, this tool offered all components of emails including metadata and attachments. Also, the application provides various naming patterns to save the exported .eml files. In order to avoid the duplicate email items to be exported from Thunderbird to Windows Live Mail. Does the software move emails from Thunderbird to Live Mail in bulk? Yes, this tool also permits a user to migrate all the files in batch form. Does the tool allows to delete duplicate emails while performing the migration from Mozilla Thunderbird to Live Mail? Does the software automatically detect the location of Thunderbird file? Yes, Thunderbird to Windows Live Mail tool comes with a special feature that users can search all the files in .mbox format automatically to perform the migration process. Can I export Thunderbird MBOX files of more than 2 GB in size to Windows Live Mail with this migrator tool? "Thunderbird to Windows Live Mail Migrator tool is an amazing tool that I used to export Thunderbird messages to Windows Live Mail. The migration was done to maintain the technical properties of emails and outcomes were consistent. Really, exports all emails from Thunderbird to Live Mail without any difficulty. Moreover, I found this tool is user-friendly and provides satisfactory results. I have never even thought that migration from Thunderbird to Live Mail will be so simple and easy. Even I must appreciate to this wonderful Thunderbird to Live mail migrator for helping me in such a great manner. I was so relaxed when this tool helped me to exclude all the duplicate data files and export thousands of MBOX emails to Windows Mail. Great Work!! Mozilla Thunderbird may be a little bit complex to configure and may provide lots of option for the average users. While Windows Live Mail can handle the variety of email accounts and also have lots of flexibility. Moreover, Windows live mail is a quick and easy email client. Therefore, sometimes the need of Thunderbird to Windows Live Mail migration arises. ".